MILO cereal gives your kids wholesome energy, made from wholegrain wheat and corn. With 50% or more wholegrain, MILO cereal is a nutritious way to start to your kid’s day. We forget just how much energy it takes to be a kid and do all the things kids need to get done in their day. A balanced breakfast will give you and your family the very best start to the day. You need a good mix of carbohydrates, fibre, protein, vitamins and minerals. These are found in lots of foods, and you can choose pretty much what you like, as long as you pick from the different breakfast food groups - grains,fruit and diary – and of course a glass of water. One serve from each of these food groups will set everyone up for the day ahead. 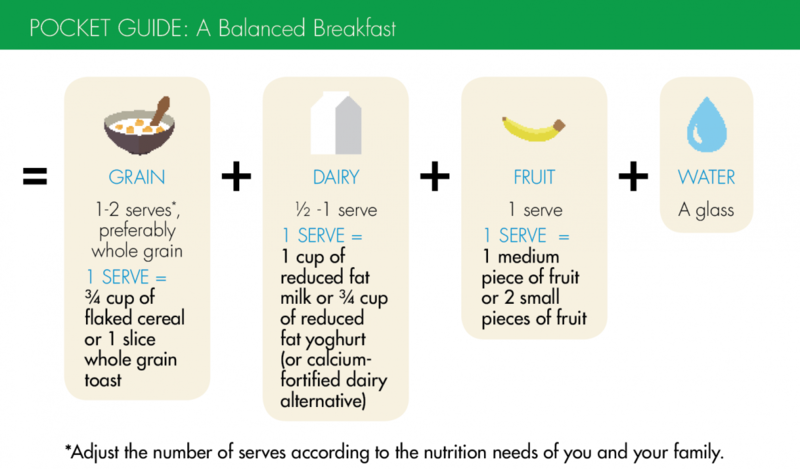 To enjoy a balanced breakfast each day include grains (preferably whole grain or high fibre), dairy and fruit. Including calcium, MILO contains 8 essential vitamins and minerals. A great snack for the lunchbox, after school or on the weekends.